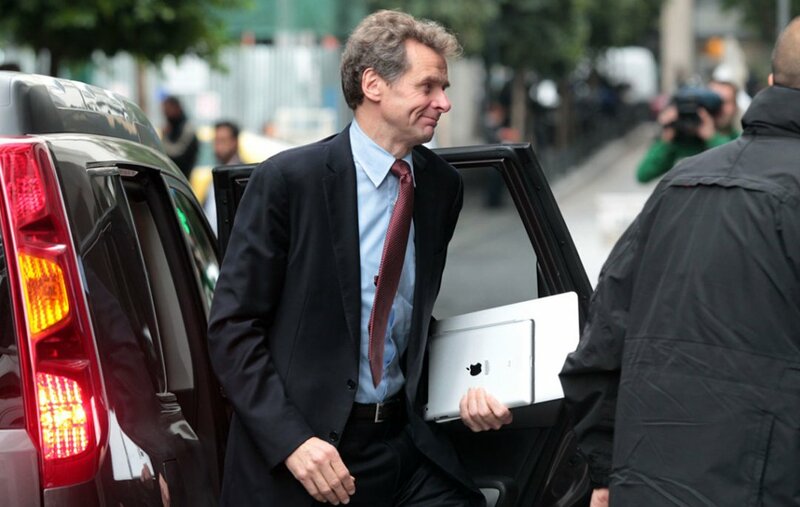 Mr. Poul Thomsen, Director of the IMF’s European Department, joined briefly the IMF mission, which is currently in Kyiv for the second review of the EFF. 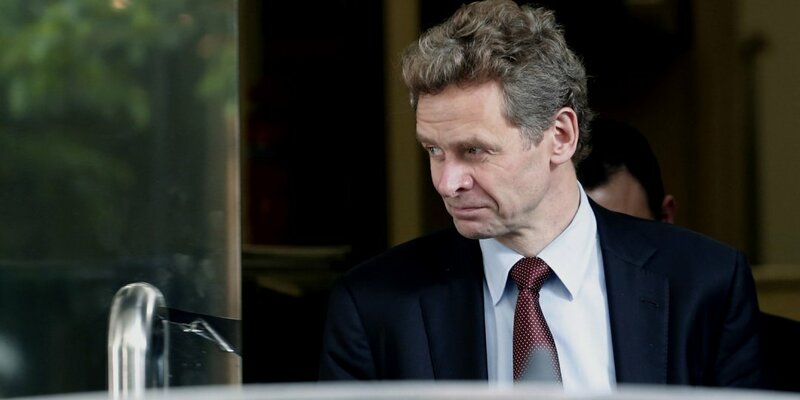 Ukrinform met Mr. Poul Thomsen to seek his views on the progress of Ukraine’s economic reforms. After a long hiatus, an IMF mission is finally back in Ukraine, to finalize the second review of the EFF program.Does this imply that the IMF has got positive signals from Ukraine? If so, what are those signals? The new government’s bold steps regarding the gas prices? Wouldn't you agree that the previous government had also accomplished a strenuous work to finally make reforms irreversible? The previous government managed the situation very well given the immense challenges and the unfavorable headwinds, although much of the reform agenda, in particular the fight against corruption still lies ahead. Let me explain. Large imbalances—manifested by large current account and budgetdeficits—had accumulatedoverseveral years andwere compounded by the effects of an escalating conflict.With strong support from the international community, the government took decisive actionstotackleupfront two policy taboos that had long held back policy making in Ukraine, and were fueling the imbalances: it moved swiftly to a flexible exchange rate to allow the economy to adjust to shocks, and adjustedenergy tariffs to better reflect the real cost of energy. At the same time, itcarried outan impressivefiscal adjustment to reduce the large budget deficit, and embarked on a successful debt restructuring to place public debt on a more sustainable footing. A tight monetary policy implemented by the NBU helped to rein in inflation, while a more effective banking supervision helped stabilize the banking system, both of which contributed to a gradual restoration of confidence.First steps were also made on structural reforms, particularly in advancing deregulation and streamlining unnecessary licenses. Although these policies did not prevent the deep recession and compression of real incomes that, to a large extent, were inevitable given the size of the shocks, they halted and gradually reversed the economic decline. Now the economy is growing again, even if softly, and inflation has dropped sharply to less than 10 percent. However, notwithstanding these achievements, progress was slower than hoped for in some structural areas, particularly in fighting corruption, improving tax and customs administration, and advancing SOE reforms, all of which are necessary to improve the business environment and the public’s perception from its interaction with the state. Overall, as you put it, some heavy lifting was done by the previous administration. The key challenge for the new government is to advance and deepeneconomic reforms to turn the recovery into strong growth, which Ukraine now critically needs to create jobs and improve incomes. This is still not easy, as resistance to reforms from vested interests remains strong. However, there is no alternativeto continuing the path of reforms to transform the economy and create conditions for strong growth over the medium term. Many times in the past, Ukraine delayed needed reforms, but thisled to boom and bust cycles that restrained itseconomic progress. Against this background, how do you evaluate the government's recent decision to increase gas prices? The program anticipated their revision up to 75 percent of the imported gas parity while the government ultimately set it at par with the global gas prices. Was it a positive surprise for the IMF? Would it be the decisive factor in pushing the program ahead? Raising gas tariffs to market prices was an important decision, which we very much welcome. This should hopefully eliminate, once and for all, the large deficits of Naftogaz that have drained significant budgetary resources in the past, and which could have been used for priority projects, including on infrastructure,health and education.Since last summer, a system of targeted household utility subsidies has been put in place to protect low-income households from the higher tariffs. In other words, instead of disproportionately subsidizing the largest gas users through low household prices and creating opportunities for corruption by siphoning off gas to other uses, the support system is now directed to households that are most in need. Going forward, it isimportant that a proper mechanism is put in place to ensure that tariffs remain at par with international gas prices and that the utility subsidies are means-tested and targeted to low-income households.Together with other reforms in the gas sector, this would allow Ukraine to invest in reducing its energy consumption andgas exploration, and ensure its long-term energy independence. The energy sector is an area where major reforms are underway. Besides the gas price increase, what are other important remaining benchmarks to be accomplished by the government and NBU in order to get the next disbursement?With hindsight, looking retroactively at the current program and stand-by agreement which preceded it, would you agree that some of their components were of the second degree importance compared to other pivotal components? As I noted earlier, much has been achieved, but the overarching challenge of advancing reforms to make Ukraine make Ukraine a place where companies want to invest and create jobs is an area where much of the work still lies ahead.This includes important steps to tackle corruption, advance judicial reforms, and strengthen the management and performance of state owned enterprises. This also includesstructural fiscal reforms, notably pension reforms to make the pension system sustainable for future generations. The international community is committed to continue to support Ukraine, butthis needs to be matched by an ambitious policy agendathat warrant this support. If we mention pensions, don't you think that recent decisions of Belarus to increase the statutory pension age and the similar hint from Russia' Ministry of Finance would be conducive for Ukraine's authorities to finally take the same path? Ukraine’s pension system faces significant challenges that, in many respects, are considerably more acute than in other European countries, that are alsoconfronted with agingsocieties. Ukraine has a particularlylarge number of retirees per worker, which makes pension spendingvery large as a percentage of GDP, even though the value of individual pensions is relatively small. In other words,the pension system is very costly for current and future generations, while at the same time it provides a very small pension which is perhaps socially not sustainable in the long run. This problem was exacerbated by the sharp reduction in social security contributions last year that doubled the gap in the pension fund’s finances, and which needs to be covered from the budget. While some efforts to make the system more balanced have been implemented, for example by eliminating special pensions last year, these have been far from enough. Ukraine needs to reduce the inflow of retirees into the pension system. And here all options should be on the table, ranging fromreducing the scope for early retirementto increasing the general retirement age, as most countries have done in the world.As the impact of these decisions on the pension system’s finances will be gradual and only have an effect over time, it is of paramount importance to take decisions now. But this is not about budgetary savings only. The stability of the system has been preserved by cutting pensions to levels that are not adequate. The challenge is to place the system on a sound footing so that better pensions can be provided to future generations. As the chair of IMF EUR department, you have lots of European states on your daily radar. What makes Ukraine's case unique from the perspective of IMF' high-ranking official? Are there any peculiar features innate to Ukraine which makesa one-size-fits-all approach not feasible for Ukraine? Every country is different and we try to treat it as such. Ukraine has an enormous potential: it has a well educated labor force, a significant domestic market, and rich soil, a wide manufacturing base, and unique economic geography that straddles East and West. It has therefore the potential to emerge as a linchpin economy in the region. However, ithas not been able to reach it yet,partly due to past half-heartedattempts over the years to modernize its economy. What we have seen in other countries is that it requires a strong commitment and steadfast effort from political leaders to move reforms forward. In this effort to revitalize the economy, we are committed to standing together and supporting Ukraine. Decentralization is at the very top of the Groysman government agenda. Do you consider it the critical macroeconomic factor contributing, inter alia, to the eventual success of Ukraine's economic story? Sound macroeconomic policies, combined with structural reforms are paramount to make the economy more attractive forthose willing to invest in the future of Ukraine. Decentralization by itself is not going to replace those policies, but can usefully support them. When properly designed, decentralization bringseconomic decisions closer to what economic agents really need. To get to that outcome however, adequate frameworks and policies need to be in place. That includes capacity building at the local level, but also proper fiscal frameworks to ensure that local finances are properly managed and transparent,and investment in local communities that is well-designed and sustainable.